We have the longest season in town! Mid March (when the ice is gone) to November 1st. Join us for the 2019 season. For more information about slip availability and to make your reservation, email us: slips@torresen.com. For information about inside and outside winter storage, click here. We also offer mooring balls for seasonal boat anchorage. The anchorage is located just offshore from Torresen Marine and the Muskegon Yacht Club. 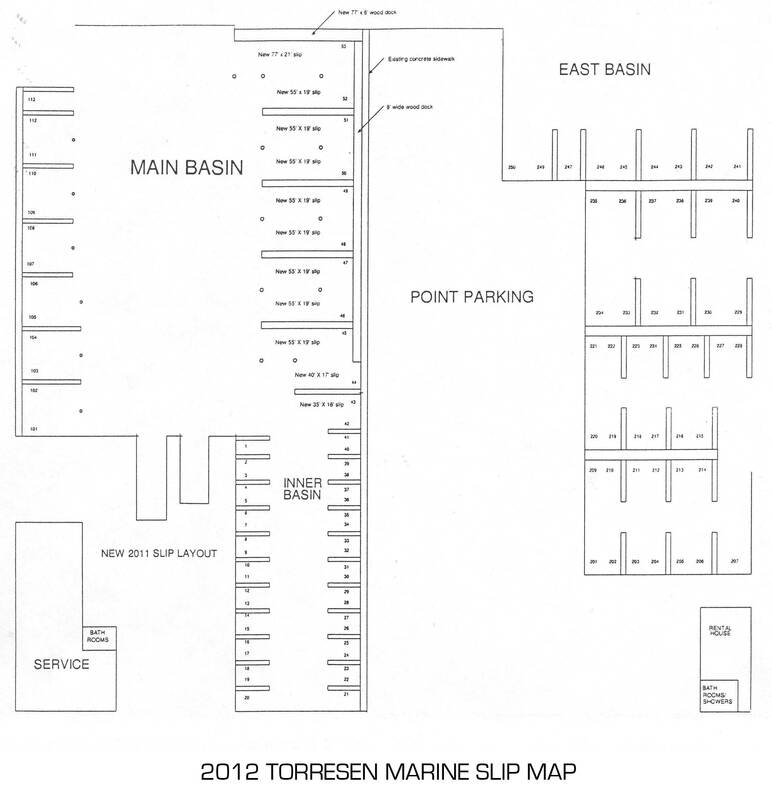 For more information email moorings@torresen.com or call 231-759-8596. Previous year’s slip holders are given priority access to slip assignments. We begin slip assignments for new customers in January. If you would like to be placed on a waiting list for a slip at Torresen Marine, please call 231-759-8596. Transient rates up to 35′ are $0.50 per foot per day. Transient rates over 35′ are $1.00 per foot per day.